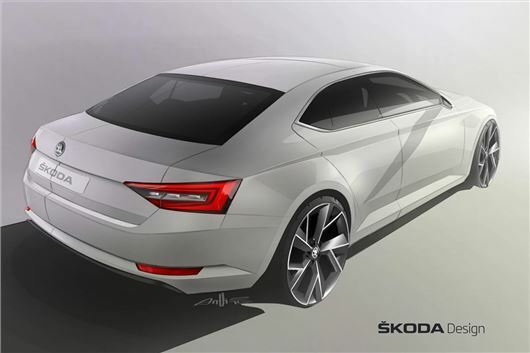 Skoda has released the first drawing of its new Superb, which is due on sale in the UK from autumn 2015. The sleek-looking design features elements from the VisionC concept car, pictured below. Skoda’s accompanying text uses words like ‘expressive’, ‘sculptural’ and ‘dynamic’ – but all you need to know is that the new car is more stylish than the old one, with a lower roofline akin to that of a coupe-saloon, such as the Volkswagen CC. Expect the new Superb to be more upmarket than its predecessor, with better quality and a classier cabin. The new model should still represent good value, but do expect a price hike from the current start price of £18,680.